This is a good magazine that i buy from time to time. In this edition March/April 2014 show the Wenger record breaking Giant knife and Carl Elsener`s Explorer knife from the Shot Show. 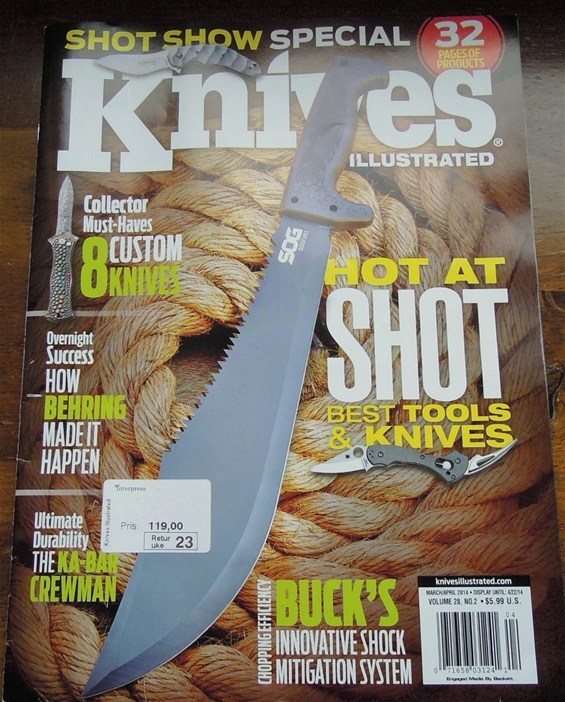 I like this magazine because of articles and that it shows many different categories of knife brands. It is smart to follow up on what's going on in the knife world.